At TS Freight, our customers can avail of world class international container shipping for their freight import from China to Argentina by Sea as well as Air. We have close links with top international carriers between the two countries. As a result, the freight transport packages that we offer you are among the most cost-effective and efficient in the world for time-sensitive cargo and freight shipments. 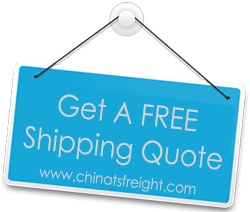 We ship cargo from all major Chinese cities including Shanghai, Hong Kong, Shenzhen, Tianjin, Ningbo and others. The destinations that we can import your goods to in Argentina include Buenos Aires, Santa Fe, Santa Cruz, Campana, La Plata, Rio Grande, Punta Loyala and other major metropolitan areas. Having had 10 years of experience in the industry of international freight transport, our company has gained a reputation as a top International Transport Service in China. We have had our logistics operations reduced to an art and perfected over the years. When you pick us to transport your goods, you can be certain that we have the best managers and staff members working on your shipment. Whether you opt for ground shipping or air shipping from China to Argentina, our staff will handle each step of the transport process with expertise and coordinate with global carrier partners to ensure that your imports reach you on time. We do not distinguish between sizes of cargo when we take on clients – you can import cargo of all sizes through us. Once you have hired our services, we take care of the pickup, packaging, inventory, customs processes, inland transit and door to door delivery for you. You can leave it to us to meet our commitments so that you in turn can meat yours.